The decision on the appeal of the White Pines wind power project in Prince Edward County was released yesterday: the Environmental Review Tribunal found for the appellant and the environment (in part), in that serious and irreversible harm would result to the endangered Blandings turtle and the little brown bat. The Tribunal also noted risk to migratory birds.This is a victory for a very hard-fought battle as members of this community fought to save the environment from Ontario’s own Ministry of the Environment. See the decision in various formats here. Please go to the Save the South Shore website for information on how to donate toward the legal costs of this fight for the environment. The work done by the community groups in Prince Edward County, Eric K. Gillespie’s legal team, and the witness statements benefit everyone in Ontario. EDITOR’S NOTE: Eric Gillespie is also legal counsel for Ottawa Wind Concerns. The Green Energy Act (GEA) is the target of a proposed judicial review to be launched this fall. CCSAGE Naturally Green, a not-for-profit public interest corporation led by its directors Anne Dumbrille, Alison Walker and Garth Manning, believe the GEA is a fundamentally flawed piece of legislation. They argue the GEA tramples rights and freedoms, punishes rural Ontarians, contravenes statutes and conventions the province is bound to uphold, and, at its core, is fundamentally unjust. One example: Currently, wind developer wpd Canada is appealing a decision, made under the provisions of the GEA, permitting it to build 27 of 29 industrial wind turbines it proposes in South Marysburgh. In making this appeal, the developer is allowed to make a wide range of arguments and present evidence in its favour. It will certainly argue that the decision will impair its ability to make money from the project. It may argue that the heritage value of the nearby properties has been overstated. It is likely to argue many things. Because it can. Meanwhile, opponents of the project are permitted only to object on the basis that the project will cause serious harm to humans or serious and irreversible harm to plant life, animal life or the natural environment. The developer is granted unlimited scope to argue in favour of its profit, while residents are restricted to just two near-impossible tests. The province designed the GEA this way. Alan Whiteley, a lawyer acting for CCSAGE, considers the GEA a fundamental assault on the rights, freedoms and statutes that have been constructed to protect citizens and the environment from this kind of overreach by government. It is something, he argues, we must all resist. Specifically he is asking the courts to examine the process by which the province reviewed and ultimately granted the renewable energy approval (REA) to wpd Canada for its White Pines project in South Marysburgh. He argues that the Environmental Review Tribunal (ERT), as the sole appeal mechanism of an REA is a product of this bias. He explains that under administrative law, the Ministry of Environment’s director plays a quasijudicial role—examining and weighing evidence and reaching a decision, for example, to grant a wind developer an approval, which could include a permit to “harm, harass and kill” an endangered species. But as citizens, we are precluded from knowing how that decision was reached— or whether it was fair. To assist CCSAGE scale this legal mountain, the group has enlisted the assistance of York University professor Stepan Wood and five of his law students at Osgoode Hall Law School. Together, they are working to accumulate evidence and legal arguments to buttress the group’s claim that the GEA violates natural justice, prevailing statutes and individual rights in at least two dozen ways. Whiteley returns to the inequity of the ERT appeal mechanism that enables the developer a wide scope of arguments, but restricts opponents to just two—human health and animals, plants and habitat destruction. He points to the divide created by the GEA in Ontario between rural and urban communities. “In Toronto, you can rely on your official plan to protect you from industrial wind turbines from diminishing the value of your property,” said Whiteley. “In rural Ontario, local decisionmaking has been taken away. Our mayor has said clearly that this community is not a willing host to these projects. Yet the GEA permits it over the objections of the community. He says the province is signatory to statutes and memorandums of understanding with other governments to protect endangered species and species at risk. Yet it grants wind and solar developers permits to ‘harm, harass and kill’ these animals and destroy habitat— without knowing how, or on what evidence, the province reached its conclusion. This is a particularly acute question since a ministry expert on turtles testified earlier this month in an ERT hearing in Demorestville that he recommended against granting a developer the permit to ‘harm, harass and kill’ the Blanding’s turtle. The group hopes to commence court proceedings shortly after Thanksgiving. They expect muscular response from the Ontario government and from the developer and the Canadian wind industry. If successful, they expect, the decision will be appealed—likely landing at the Supreme Court of Canada. Another measure of the significance of the challenge is the participation by the Osgoode Law School’s Wood and students Stephen Gray, Sabrina Molinari, Timon Sisic, Amanda Spitzig and Imelda Lo. Manning notes that a judicial review is being funded initially by the group internally. Much of the legal work will be done on a pro bono basis by Whiteley and the law school students, with research and evidence-gathering assisted by Anne Dumbrille and Allison Walker among others. He notes as well that this effort is not meant to conflict or compete with other appeals— but rather it is a parallel examination of the impact the GEA has had in upending justice, diminishing basic rights and contravening statutes the province is obligated to uphold. The Alliance to Protect Prince Edward County (APPEC) is hosting a major rally in Milford on Sunday, which they hope will be a large and impressive statement about the prospect of as many as 29 50-storey industrial wind turbines erected around that community. From 11 a.m. to 4 p.m. at the Milford Fairground, there will be music, food and inspiring words. Participants are encouraged to don their anti-wind turbine kit. At 12:30 p.m. participants will be asked to join hands to form a protective circle around Mount Tabor. “We encourage everyone from across the County to join together to say that this is the wrong place for industrial wind turbines,” said Gord Gibbins, APPEC chair. The long-awaited resource documents for the new Request for Proposal (RFP) process for Large Renewable Procurement (LRP) were released this week. The point system for community engagement is also now known. The points for Rated Criteria are 80 points for community engagement and 20 for aboriginal interest. There are two levels of possible support from the Project Community – a Municipal support resolution or a Municipal Agreement. If there is an agreement but no support resolution, the proponent could get 40 of the 80 points. Failing that, they could claim 30 points if they have support from 75% of the landowners for abutting properties to the project and the connection line. Deadline for submissions is September 1, then proposals will be evaluated and successful proponents notified November-December, 2015. Ontario communities should know within the next few weeks whether a wind power developer plans to submit a proposal for a utility-scale wind power development. 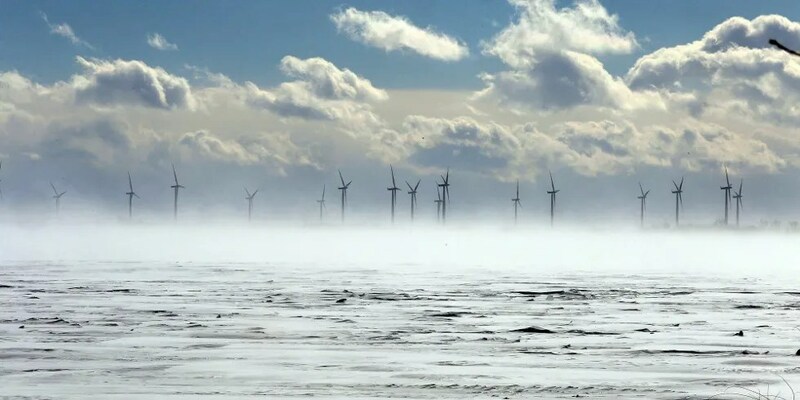 The Government of Ontario has still never performed a cost-benefit analysis or impact study for large-scale wind power development, or of its renewable energy policy in general, despite the advice of two Auditors General to do so. Eastern Ontario has a “green light” for renewable power generation projects. Already, EDP Renewables has announced plans to develop more turbines in South Dundas and North Stormont. The company that previously put a proposal forward to do a 20-megawatt wind power project in North Gower-Richmond did not qualify for the 2015 contracting process, but 41 companies did qualify. In a recent edition of the Ontario Farmer, a North Gower area farm owner said he though wind power was a waste of money but that if he were offered money he would put them on his property (though not where he lives). Ottawa Wind Concerns remains active in monitoring any proposals that might come forward, and we continue to have a law firm on retainer. The executives at the wind power developers’ lobby group, the Canadian Wind Energy Association, took a trip down the road from their offices on Carling Avenue in Ottawa to see the wind power project in Brinston, just south and east of Ottawa. On June 25, several EDPR employees led a tour of the South Branch wind farm for staff members of the Canadian Wind Energy Association (CanWEA) , including CanWEA’s president, Robert Hornung, who had this to say about the visit: The siting characteristics of South Branch and how well the wind farm blends with the natural landscape are truly impressive, said Mr. Hornung. We were equally impressed by the care and attention that EDPR has taken in building a high level of enduring community acceptance. The tour of the wind farm, located near Brinston, Ontario, included stops in the O&M building as well as the inside of the base of a tower and the substation building. After an informative tour, CanWEA expressed interest in working with EDPR to improve its information packages for farmers. Several CanWEA representatives also said they planned to stop by the upcoming South Branch Kid Wind Day, which will be held on Thursday, July 24, and attended by 150 kids. The claim that EDP has “enduring community acceptance” would be laughable, were it not for the truth about this community: once the wind project was publicly announced by the original developer, Germany-based Prowind, the community became divided between the few farm owners leasing their land for turbines, and others in the community who had no choice but to watch this happen to them. A community group was organized and held several information meetings…but of course, with the Green Energy Act, there are no solutions through elected representatives. South Dundas Council voted on a resolution to say there would be no support for further wind power development as Ontario doesn’t need any more power generation. The so-called South Branch Kid Wind Day is NOT for local families (hard for them to miss the huge, 3-megawatt turbines) but it will be for kids being bused in from elsewhere. The community has not even been informed of this PR event. Of greater concern, though, is the news that an “information package” is being developed for farmers: this is being worked on because Eastern Ontario has a green light from the province for wind power development…it is rumoured that 5,000 more acres in North Dundas have been optioned for future wind power development. Our question: will EDP and CanWEA provide full disclosure on noise, health problems, sleep disturbance, property value loss, and the potential for lawsuits from neighbouring landowners? AMHERST ISLAND – The group opposed to a wind energy development on Amherst Island is going to court to challenge a recent government ruling that permitted the project to move ahead. In an application filed Thursday with the Superior Court of Justice in Toronto, the Association to Protect Amherst Island (APAI) asked for a judicial review of the Jan. 2 decision by the Ministry of the Environment to declare complete the Renewable Energy Approval (REA) submitted by Windlectric Inc., the company seeking to build the Amherst Island wind project. Windlectric plans to build a 75-megawatt wind energy project on the 70-square-kilometre Amherst Island, involving up to 36 turbines. The January ruling meant the project was entering the technical review stage, during which the different reports filed by the company in support of the development are reviewed. An REA deemed complete also allowed the project to proceed into 65 days of public comment, a phase set to conclude March 8. In its application, which named Windlectric, the director of environmental approvals and the provincial ministries of the environment, natural resources and tourism, culture and sport, APAI stated the REA did not contain key components. “The decision to deem the project application complete surprised the Association as substantial evidence as to why the project should not proceed to the technical review stage of the process,” the association stated in a release Thursday. The association stated the application for the review is “consistent” with the position of Loyalist Township. In October, Loyalist Township council passed a motion that called for the rejection of “incomplete” project applications. APAI said the technical details of the Windlectric REA were far from complete. Our note: errors are not uncommon in these applications. The application Prowind filed for the South Branch project south of Ottawa originally had the project in the wrong county! Communities are taking a hard look at these documents, and consulting with lawyers. This is an advance copy of an article prepared by Garth Manning of Prince Edward County, and chair of the County Coalition for Safe Appropriate Green Energy (CCSAGE). The article will be appearing in the December edition of Farmer’s Forum, with a circulation of 40,000 in the agricultural community of Ontario. WHAT’S IN THAT WIND TURBINE CONTRACT? you could be giving up the right to your land for longer than you are alive. Wind companies operating in Ontario are frequently owned outside Canada, and are not interested in “saving the planet for our grandchildren” or “curing climate change” as those weary clichés would have you believe. Rather, they’re only after the biggest possible profits guaranteed over a period of from 21 to 40 years by our provincial government using the proceeds of Ontario residents’ constantly increasing hydro bills and taxes. So what do you do when the wind company wants you to sign a contract? The land owner must first decide for him/herself whether there’s any truth in the now widely accepted beliefs that industrial machines, taller than the Ottawa Peace Tower and as tall as the London Eye, can cause health problems, reduce property values, adversely affect local economies, provide few jobs, kill birds and bats in unacceptable numbers, devastate rural Ontario and disrupt communities. If you can get past that, you have to accept that wind power is not even required at all in an economy with an excess of electricity, some of which is virtually given away to neighbouring provinces and states on a regular basis. The “gifts” the wind company salesmen bear while dangling the sugar plum of additional (taxable) income, include more than 30 pages of legal documents, which they urge you to sign. In a word…DON’T. They are prepared by large, expensive, law firms to protect wind companies, not you. Have them reviewed by your own lawyer and insist that the wind company reimburse you for the legal fee. Then make your own informed decisions. There is no such thing as a standard form of contract used by wind companies – they’re all different in detail but usually consist of an option agreement and a stringent form of lease (which you will have to sign without change if the wind company decides to go ahead). To protect yourself, your lawyer and you should consider and discuss a long list of valid concerns. Here are some examples. You could be virtually handing over control of your property and the way you normally use it for a period of time extending beyond your own life expectancy. The wind company can get out of the contract but you can’t. Turbine(s) can be sited where they, not you, want it or them. Ditto for the access roads to the turbine(s). You should discuss how your mortgage and insurance coverages might be affected. The period of construction will entail the presence of heavy machinery and considerable upheaval to your normal daily life. This could be repeated after about 21 years if the wind company decides to build bigger turbines to replace the old ones. You may find it difficult to sell, or raise money on, your property. There’s no guarantee that the wind company will follow up on its promise to make good all damage caused by construction, for which you should require a major cash deposit, irrevocable letter of credit or bond. Ditto for its promise to remove the turbine(s) and make good your land. There’s more…the wind company can escape its obligations by assigning the contract to anyone, including an anonymous numbered company, without assets, which could avoid removing the turbines(s) and making good the land. Without the proper financial protection, you might find yourself responsible 20 or 40 years from now for demolishing the turbine(s) at immense personal cost. You might also be asked to sign a non-disclosure agreement restricting your right to communicate publicly what you have learned from your dealings with the wind company. You could be required to give legal permission for the turbine(s) to cause flicker, noise, turbulence and general unpleasantness, thus giving up any right to sue should you or your family suffer any health or financial problems from the turbine(s). You could be sued by neighbours for knowingly contributing to diminished value or unsaleability of their property because of the presence of the turbine(s) on your land. You may be left with massive concrete foundations and other sub-surface installations on your lands. You owe it to yourself, your family and your community to consider and act on these concerns before you sign a contract. Mr Manning is a retired lawyer living in Prince Edward County. This article is for informational purposes only, and does not constitute legal advice. Last year, a group of property owners in the Collingwood area, decided to sue both the wind power developer (wpd, from Germany) and the landowners who, together, had put forward a proposal for a wind power generation project. The landowners, led by a Mr and Mrs Wiggins, maintained that they had already suffered property value loss and that if the project was approved, those losses would continue and escalate. The Wiggins own an equestrian facility worth over $1.5 million and had listed it for sale; once the wind power project was announced, interest in the property evaporated. The wind power developer asked the court to determine whether their action had any merit and asked for a summary judgement on the legal action. Yes, the judge decided in her decision*, this is not the appropriate time to proceed with this action and it was denied. BUT, she said, if the project does receive approval from the government to proceed, THEN the plaintiffs were free to pursue their legal action. The judge also accepted evidence from Dr Robert McMurtry on the potential for negative health impacts. What this means for the owners of properties neighbouring land where wind turbines have been proposed is that the minute a project is approved by the Ministry of the Environment, you can file a claim. The leaseholders (i.e., people leasing land for turbines to a wind power developer) ought to be forewarned that claims will be filed in Ontario. In the North Gower-Richmond area, a conservative estimate of the property value loss within 3 km is $67 million. The wind power project is proposed by Germany-based Prowind for two area farms, Cornerview and Gowerdale. More than 300 homes are within 3 km of the project.